The beautiful streamlined body, the pair of wings that slice through the wind, the white airframe that shines so blindingly, reflecting sunlight… An airplane is not a mere vehicle; its very existence is the embodiment a dreamlike beauty. It carries people to any destination on earth faster than anything and watching it fly across the sky prompts us to wonder, “Where exactly is it headed to?” An airplane makes us think of a faraway world that we’ve yet to see and we might just feel our chest tighten at the thought. 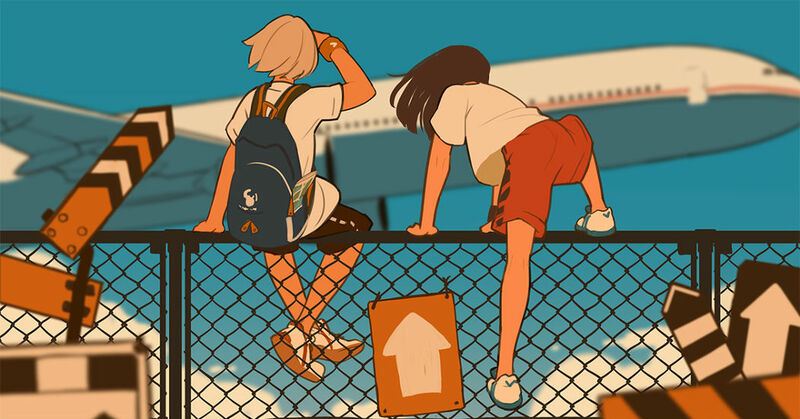 This time we’re featuring illustrations depicting airplanes. Enjoy!